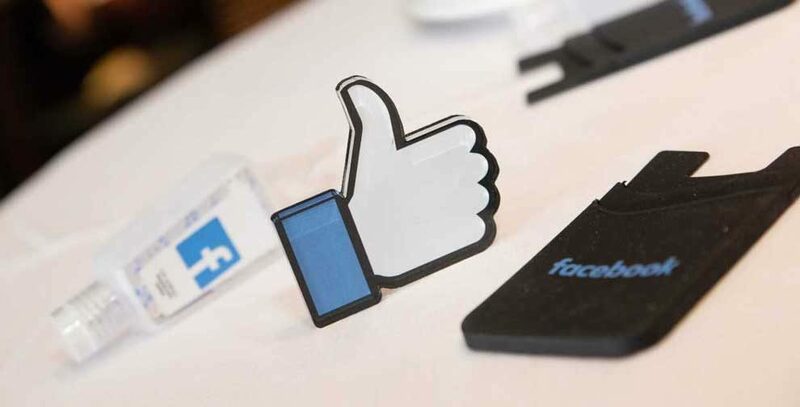 Hofstra University’s first year participating in Facebook’s Cybersecurity University Program provided students with a myriad of educational and professional opportunities. Hofstra is one of only nine universities nationwide selected to participate in the program which strives to help cultivate the next generation of cybersecurity professionals. Dr. Xiang Fu, associate professor of computer science, is responsible for bringing the Facebook Cybersecurity Program to Hofstra. 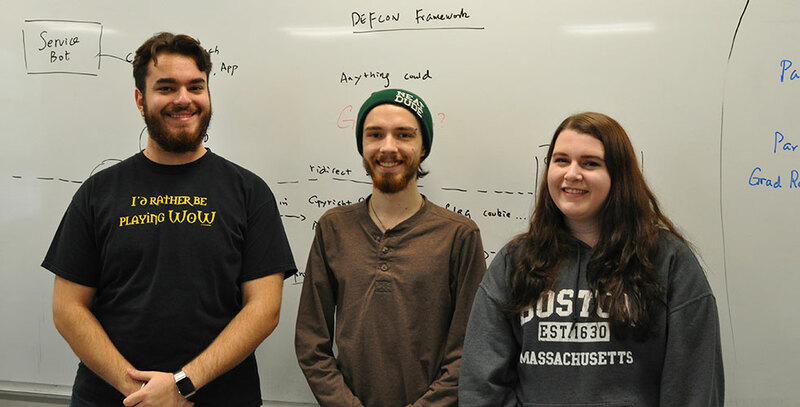 In conjunction with Facebook and CodePath.org, the Computer Science Society launched a free, 12-week cybersecurity training coding academy – an on-campus program that teaches students how to think like a security professional, the fundamentals of cybersecurity and common application vulnerabilities, along with providing hands-on practice focused on developing defensive applications. 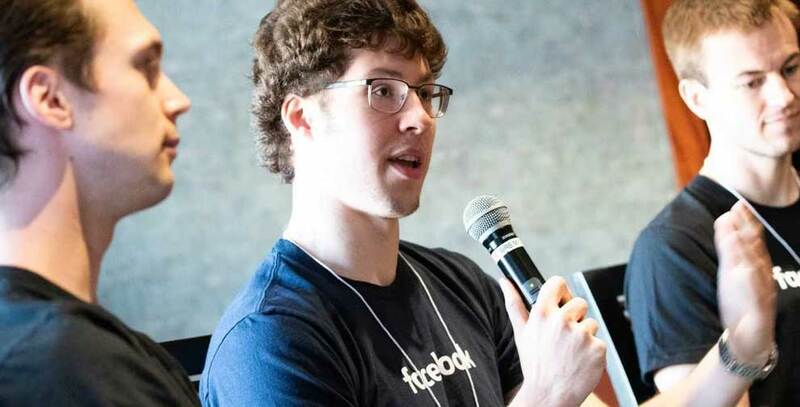 A panel of Facebook engineers spoke to computer science and engineering students about the growing demand for cybersecurity professionals and what it’s like to protect data for the world’s largest social network. 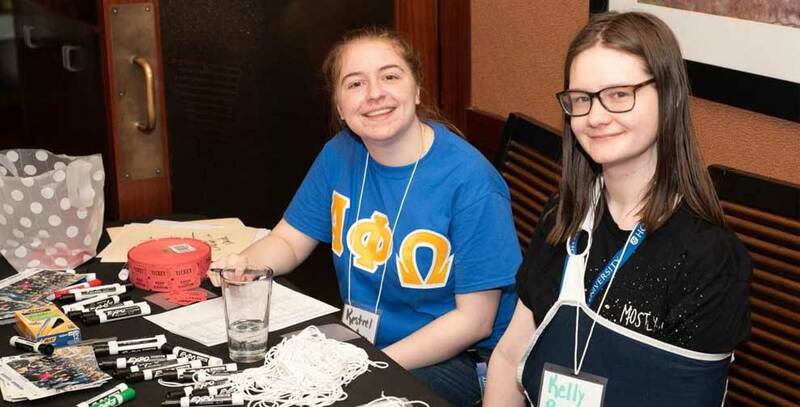 Computer Science students Kelly Rose ‘20 and Kestrel Bridges ‘20 were awarded travel scholarships by Facebook to attend the 5th Annual Women in Cybersecurity (WiCyS) conference in Chicago. Twenty computer science students tested their cybersecurity skills at the 2nd Annual Cybersecurity Capture the Flag (CTF) contest hosted by Hofstra’s Computer Science Department. Over a 24-hour period, students competed to defend their computer servers and attack their competitors’ potential vulnerabilities. Winning CTF students received prizes including a Chromebook, EchoDot, and Nike Bag provided by Facebook. 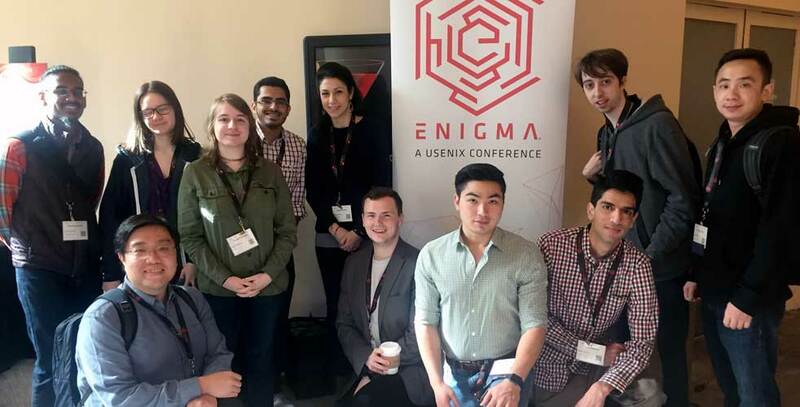 Eleven computer science and engineering students and one computer science faculty member received scholarships from Facebook to attend the 2018 USENIX Enigma Conference and Facebook’s University Cybersec Partnership Day in California, thanks to scholarships from Facebook. A new computer science course, Cybersecurity for Everyone, was offered in the Spring 2018 semester. Fifteen students completed the course and received Facebook’s Certificate in Cybersecurity Training. The non-major version of Cybersecurity for Everyone (CSC007), is available to all Hofstra students as of Fall 2018. 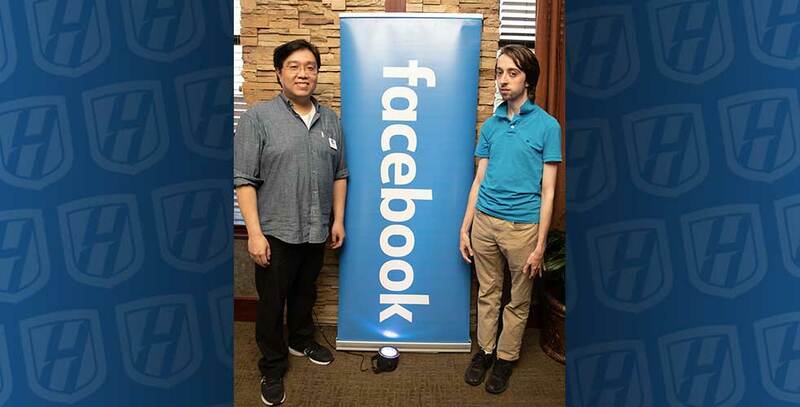 Graduate student Michael Cheng ’18 and undergraduate student George Osterweil ’20 were commissioned by Facebook to design a web-based cybersecurity competition system for submission in the 10th Annual CyberPatriotX Competition held in Baltimore. The competition, hosted by the National Youth Cyber Education Program, put teams of high school and middle school students in the position of newly hired IT professionals tasked with managing the network of a small company. Nine undergraduate and one graduate computer science student were sponsored by Facebook to attend the Annual Facebook Developer Conference (F8) in San Jose, California– a 2-day event, where developers and businesses explore what’s next in technology. Students had the opportunity to meet and interact with Facebook product experts and the global developer community. Stephanie Siteman, cybersecurity manager at Facebook and four Facebook engineers spoke to more than 60 students and faculty about “Life as a Cybersecurity Engineer at Facebook” at the Facebook-Hofstra Cybersecurity Night hosted by Facebook at Seasons 52. 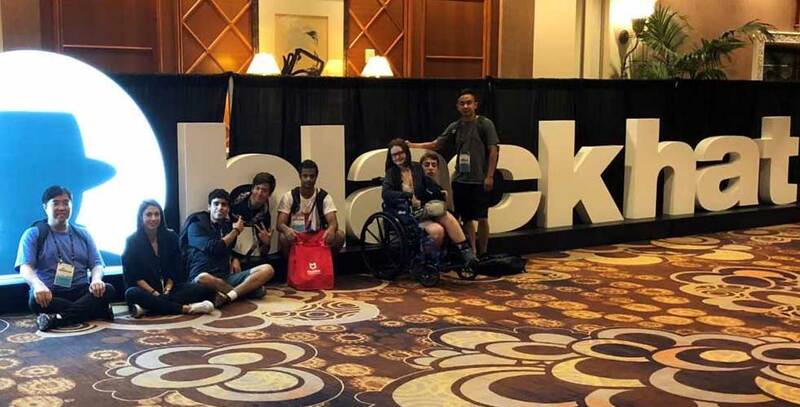 Five students, accompanied by Dr. Angeliki Zavou, assistant professor of computer science, attended the BlackHat and DefCon conferences in Las Vegas, thanks to scholarships from Facebook. 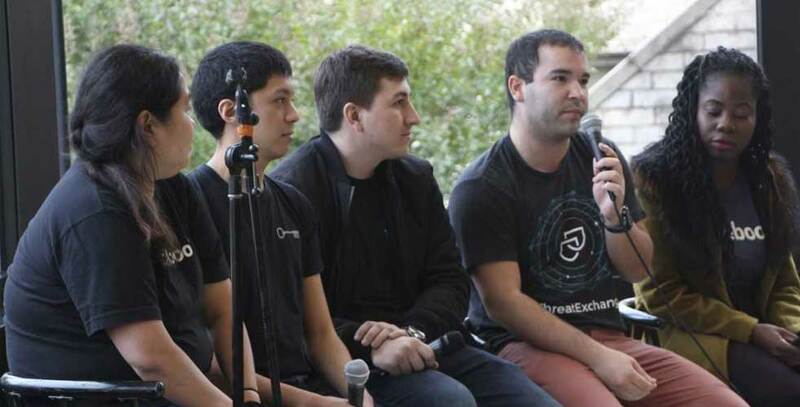 The merit-based travel scholarships were awarded to computer science students George Osterweil ‘20, Daulet Diyarov ‘22, Danny Fidalgo Pires ’22, biology major Neil Hendricks ’19, who performed well in the Cybersecurity for Everyone course during the 2017-2018 academic year and to graduate student Michael Cheng ’18 who helped teach the course.